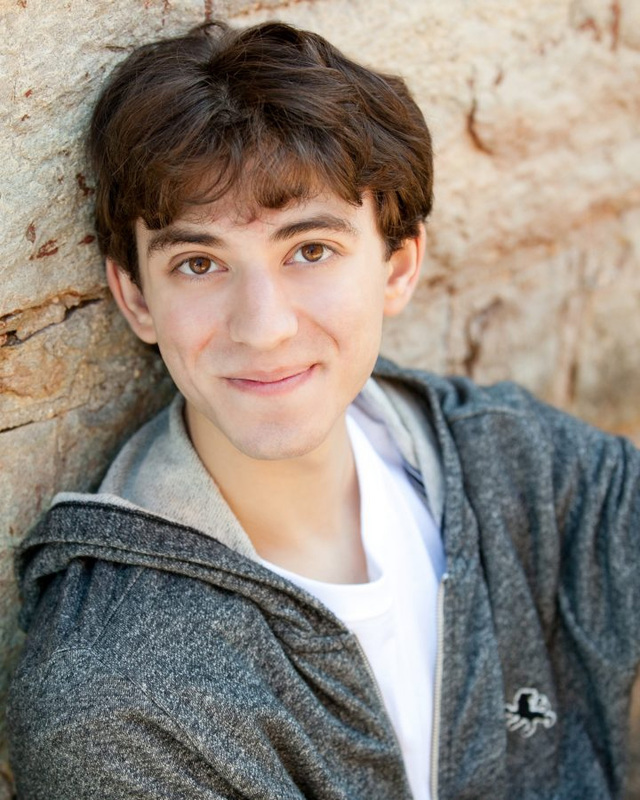 "James and the Giant Peach, has been called a “Masterpeach” of a musical by critics. This delightful theatre for a young audience production is based on Roald Dahl’s fantastical tale of a boy, his insect friends and their amazing journey across the ocean on a giant piece of fruit. The musical has be devised to include multiple puppets (some life size) custom designed by Jeff Semmerling, one of America’s leading mask makers, based in Chicago and integrated with actors and shadow puppets to enhance this magical story. Performances begin Saturday, June 25 and runs weekends through Sunday, July 31." "What the hell is this place? Inside Out Art Studio." 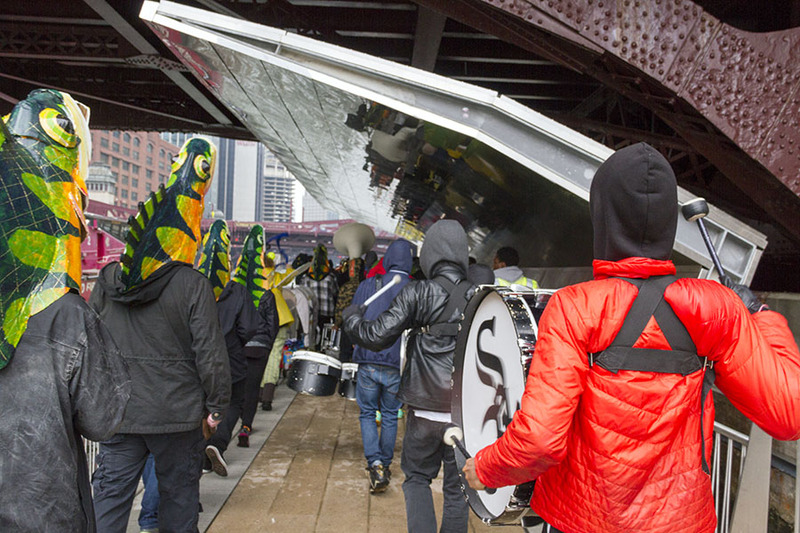 A giant buzzing neon sign with the words "Mask Shop" lights up a section of Montrose near Damen where the Inside Out Art Studio sits. It's a pretty literal description, really, because crowding the storefront's window for attention is a colorful and eccentric mix of masks. But once you're through the studio's doors, crafting materials take over. Tubs of paint, paper figures, peacock feathers—every surface, including each bright purple wall, is covered. Jeff Semmerling, one half of the ownership behind the masks, opened the studio in 2003. His year-round Mardi Gras spirit bubbles throughout the shop, which makes up for its modest amount of physical space. 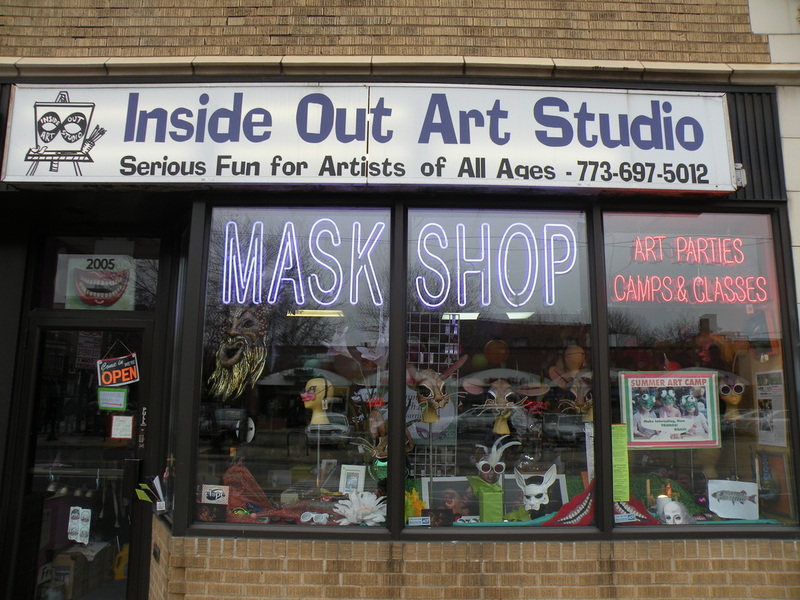 More than just a mask retailer, the studio offers classes in creative journaling, French language, painting, leather mask-making, and a slew of other unrelated yet creative subjects taught by Semmerling and his wife—they even conduct summer art camps. Basically, it's a shop, a studio, a classroom, and a gallery in about 500 square feet. Masks, says Jeff Semmerling, are tools of revelation rather than disguise. To Jeff Semmerling, a mask that is light as air can convey heavy messages and thoughts. It is a metaphor for human emotions that strip a person of all pretenses. You cannot tell if someone is rich or poor, pretty or plain, shy or extroverted when they are wearing a mask, he says. "A mask has the power to open people's eyes and change who they are." 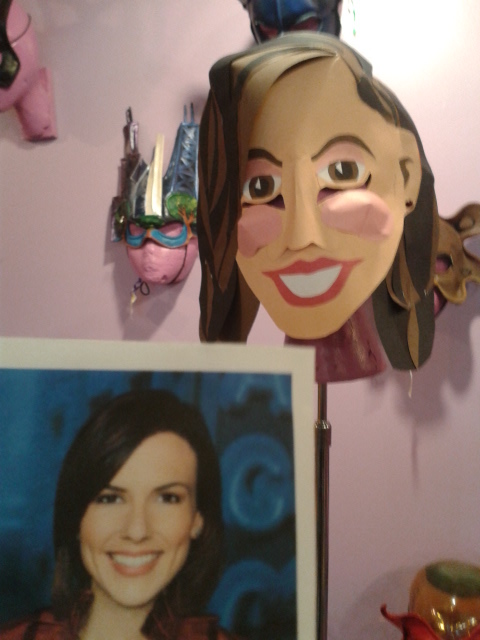 WGN's Ana Belaval does an "Around Town" remote visit to the Art Side Out Studio! We also got a photo and mention in the "North Loop News!" 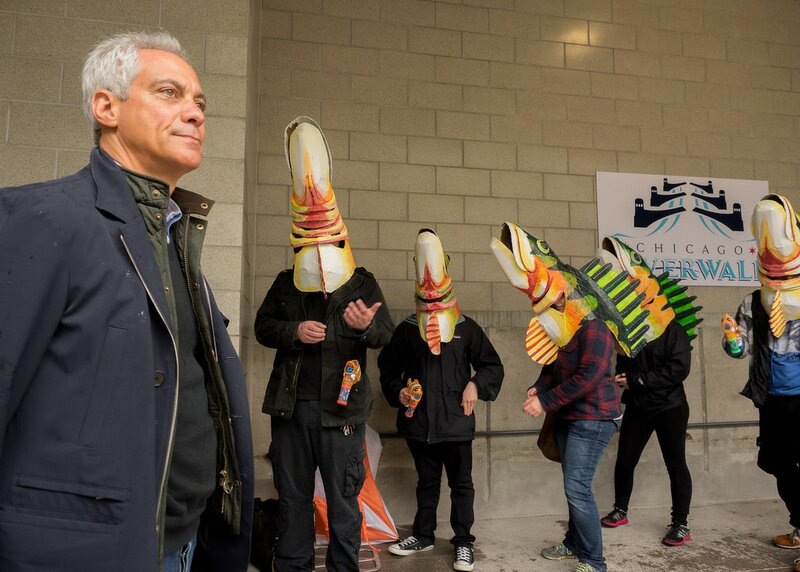 Press here to Hear Rahm Joke about "Fish Puppets." dancing with the Chicago Symphony Orchestra!